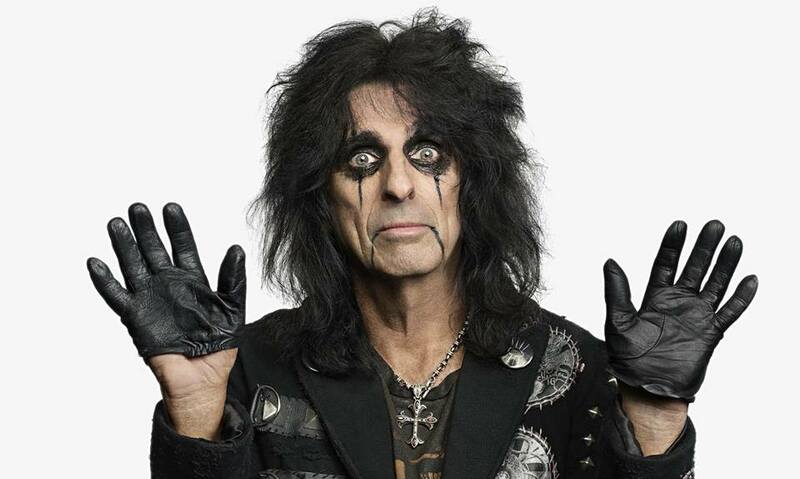 The song, whose origins date back 50 years, was rediscovered by the shock-rocker when original Alice Cooper Band bassist Dennis Dunaway suggested the track during sessions for the project. "The Sound Of A" will be issued as a single on February 23; available as a limited-edition CD single and on 10-inch white vinyl, the release also includes four previously unreleased live songs recorded in Columbus, Ohio in 2016. “Paranormal” – which peaked at No. 32 on the US Billboard 200 – features guest appearances by Deep Purple bassist Roger Glover, ZZ Top's Billy Gibbons and U2 drummer Larry Mullen Jr.
Cooper – who delivered a Halloween performance on Jimmy Kimmel Live with the help of the Foo Fighters – recently wrapped up his 2017 live dates and will return to the stage in Windsor, ON on March 1 when he launches a spring 2018 tour of North America. NOTE: The video below is not available in all regions due to restrictions at source beyond hennemusic's control.